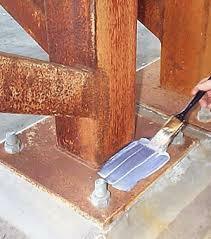 Leading Manufacturer of rust converter from Thane. Matching up to the ever-changing needs of our patrons, we provide our patrons with the superior quality of Rust Converter. For the purpose of reversing the process of rusting or corrosion, the rust converter is used in various industrial applications. Without losing the metal strength and other attributes, the rust converter converts rust/corrosion in to a stable metal complex and attains a passive state.